Becoming a mom is a rite of passage for many of us. FreelanceMom is a community for moms who believe that women can still be who they are after becoming a mom. We believe the landscape has completely changed and that there is no better time for parents to be a freelancer or solopreneur. If you agree with us, then we want to hear from you! We love hearing case-studies and other moms’ stories – and we’ll even pay you for them! C’mon and share away! Men are welcome too! Your article should offer current practical and actionable advice, tips and be *in-depth enough that the reader walks away with new knowledge and new approaches. (*In-depth, meaning, not saying the same thing that is already been said a hundred times before and is well-researched and thought-out). Your article should be well-organized, written in short paragraphs and include lists and bullet points where it makes sense. Feel free to include graphics to illustrate your points. Please include any references to research or other references you used to write your content. We won’t necessarily put this in your article, but just so we know where you got your facts from. Your article HAS to be original and not published anywhere else EVER. (We have exclusive rights to the content). Your article should contain personal stories and anecdotes that connect and are relatable to other moms who want to sell their expertise or currently run a part-time or full-time business. 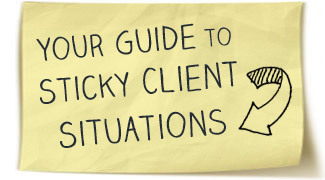 Your article should have a thought-out headline (which gives me a good indication of what your content will be like). Your article should contain a “20 to 30 minute action plan” at the end (whether that is in the form of powerful reflective questions, tools to use or an actual step-by-step plan that will help the reader apply their learning). Guest articles should be between 900 to 1,500 words. Articles that are selected for publication will be paid between $75 to $100 via PayPal. You must have a PayPal account to be paid. Every month, if your article is at the top of our most shared, you’ll be the winner of a special bonus of $150. STEP 1: Tell me the topic of your piece. Then explain your angle, your new contribution to the topic, what’s insightful/poignant/unique about your approach, research or experience that other people can apply and get results from. Please explain EXACTLY what the reader will walk away with after reading your article. STEP 2: Send the first paragraph of the piece and then an outline of what you plan to cover in the rest of your article. 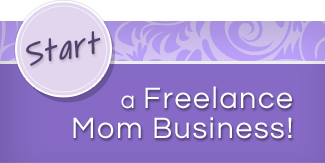 STEP 3: Include the keywords “FreelanceMom Guest Post Submission” in your email subject lines. (I get quite a bit of emails daily, so putting that title can really help me stay organized). STEP 5: I will communicate back letting you know if your idea is a good fit. (Submissions does not guarantee getting published). Can’t wait to share your amazing ideas and experiences!